Home / can i eat eggs during Pregnancy / eggs during pregnancy / foods to avoid during pregnancy / Is it safe to eat soft-boiled or raw eggs during pregnancy? 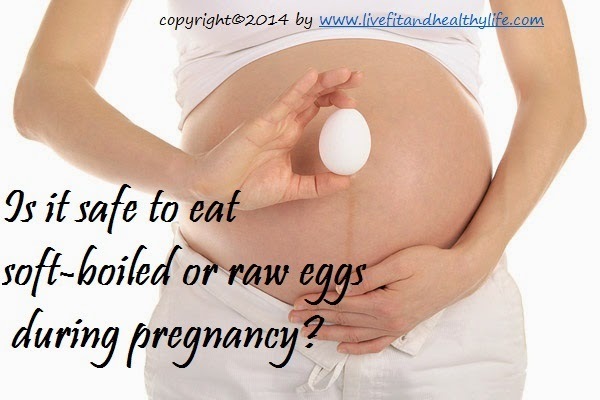 / pregnancy / Raw Eggs During Pregnancy / Is it safe to eat soft-boiled or raw eggs during pregnancy? Is it safe to eat soft-boiled or raw eggs during pregnancy? Raw or under cooked eggs can carry harmful organisms such as E.Coli and Salmonella, which in turn can infect a pregnant women during pregnancy leading to an intestinal infection. Soft-boiled or raw eggs may carry salmonella bacteria. So while you're pregnant, you may want to cook eggs until both the yolk and white are solid. This destroys salmonella bacteria and makes the eggs safe to eat.